Bollywood dusky beauty Priyanka Chopra never fails to voice out her opinion. The desi girl who is also testing her luck in Hollywood has recently responded on the #MeToo issue. 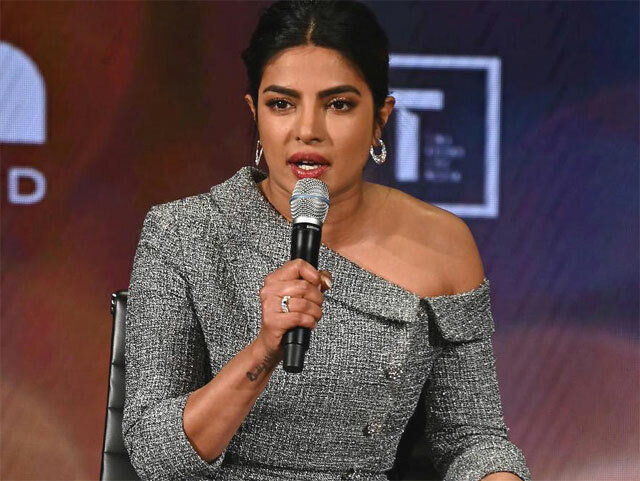 When talking in an interview, Priyanka Chopra was asked if she has ever faced sexual harassment in the film industry, shockingly, Priyanka Chopra said, ''Yes, I am a victim of sexual harassment'' and stated that just like so many other heroines, she was also harassed sexually. However, she hasn't revealed details about when and who. A few months ago, #MeToo movement has been a hot topic in the industry. But Priyanka Chopra hasn't said anything at that time. But PeeCee responding now has become a shocker for the fans. On the personal front, Priyanka Chopra recently got married to her beau, Nick Jonas, popular Hollywood pop singer and on the work front, Priyanka will be next seen in 'The Sky Is Pink'.